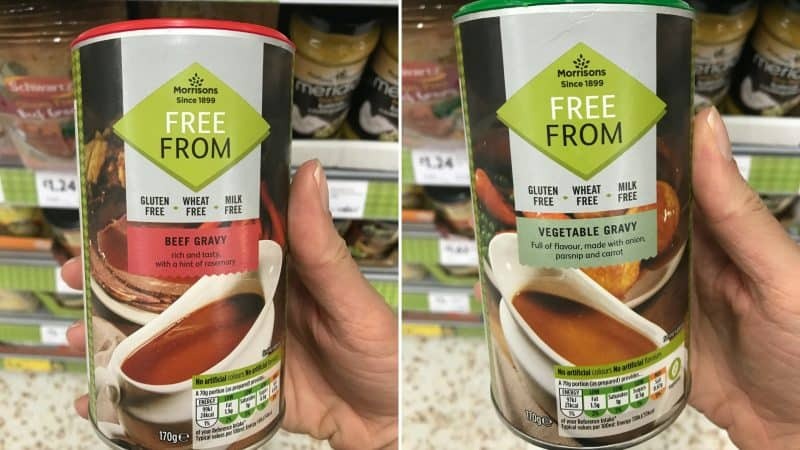 Where can you get gluten free gravy and stock cubes? 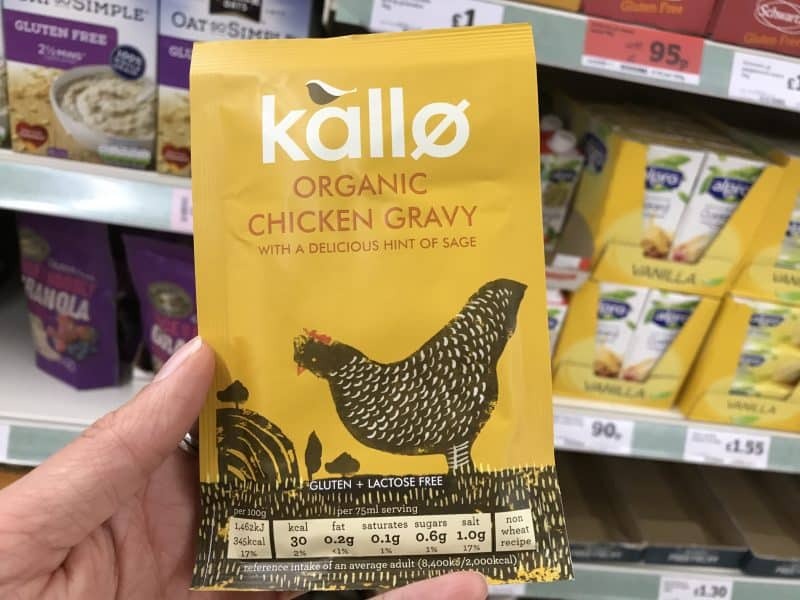 I’ve been asked this question a lot lately, so I’ve hunted down all of the gluten free stock cubes and gravy mixes I could find in my local supermarkets. 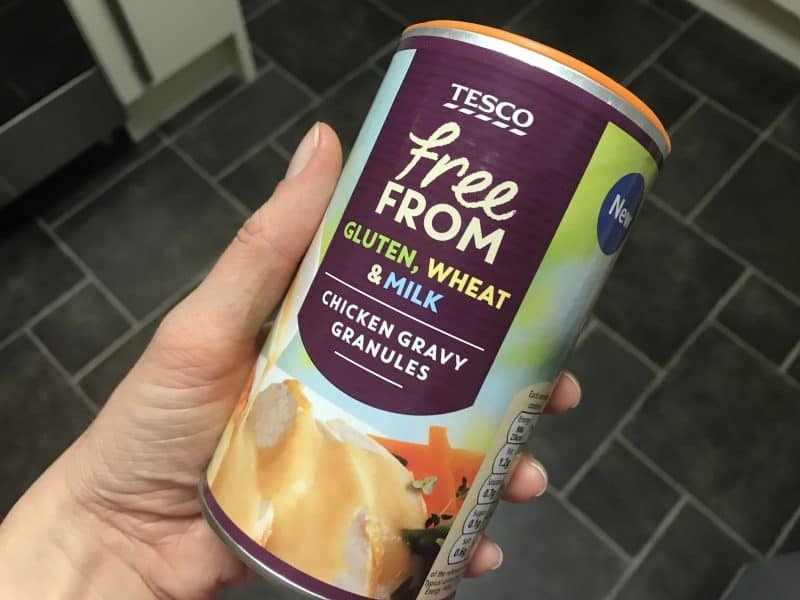 Gravy or stock cubes often have wheat flour in, and it’s left a lot of people with coeliac disease stumped. After all, what is a roast dinner or bangers and mash, without gravy? Luckily, there seem to be plenty of options on the market. 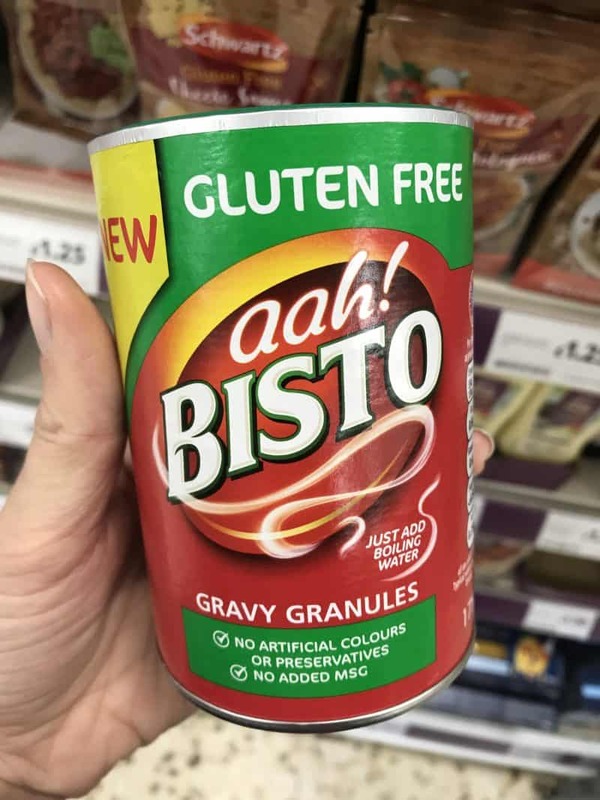 You’ll find the kitchen staple, Oxo cubes, are sadly out of the question (cheers for that, gluten) and some of Bisto’s gravies also have a ‘may contain wheat’ warning on them, despite no gluten in the ingredients list. But there are plenty of options out there, so fear not, save your roast with some of these beauties! 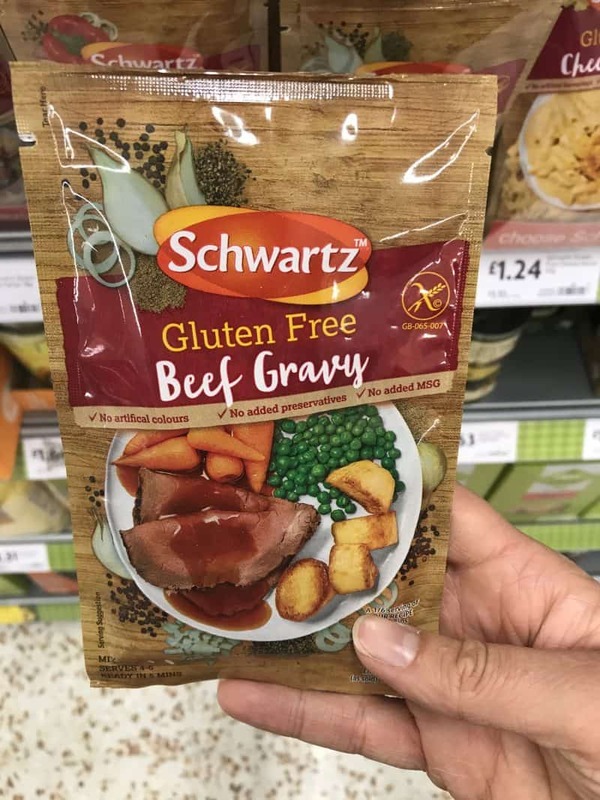 We’ll start with gluten free gravy – scroll on for gluten free stock cubes. Find it in the free from aisle in Tesco and Asda. Found in the free from aisle in Morrisons. Found in the free from aisle in Morrisons (obvs!). Found in the free from aisle in Tesco. Found in the free from aisle in Sainsbury’s. Found in the chilled aisle, marked new and gluten free! 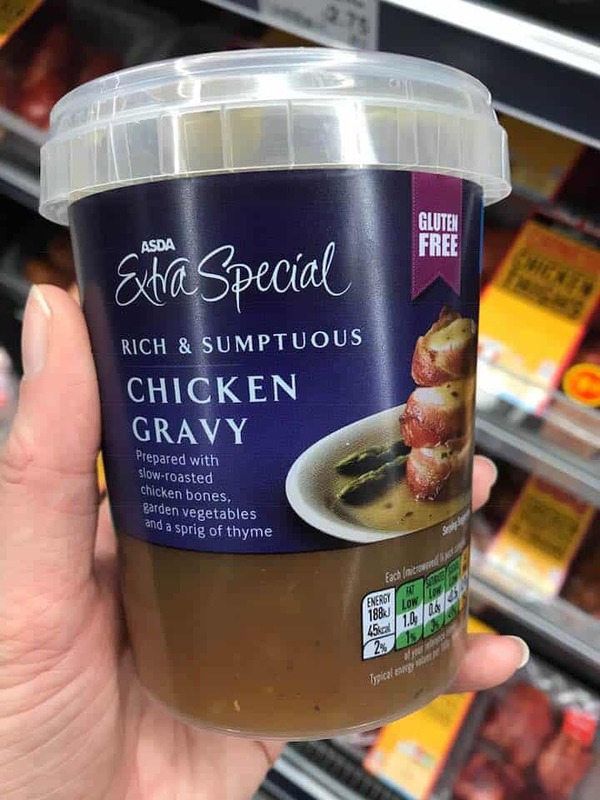 Ok, so now we’ve got the gravy sorted, what about the stock cubes? 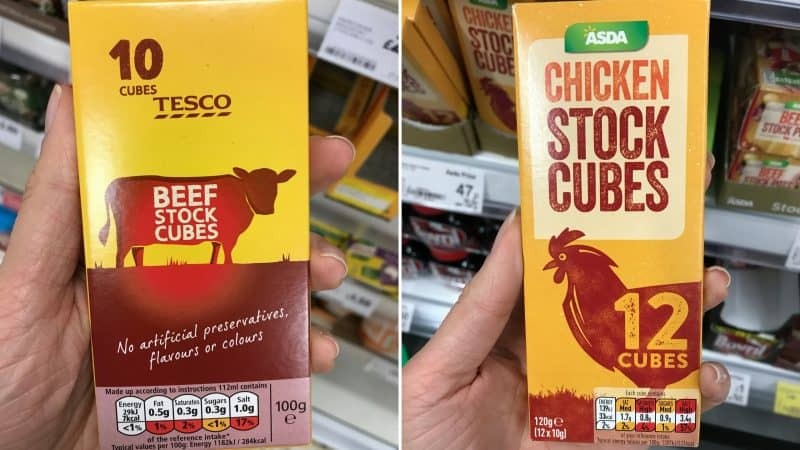 This list is in no way exclusive, but here are some of the gluten free stock cubes I discovered in the supermarket. 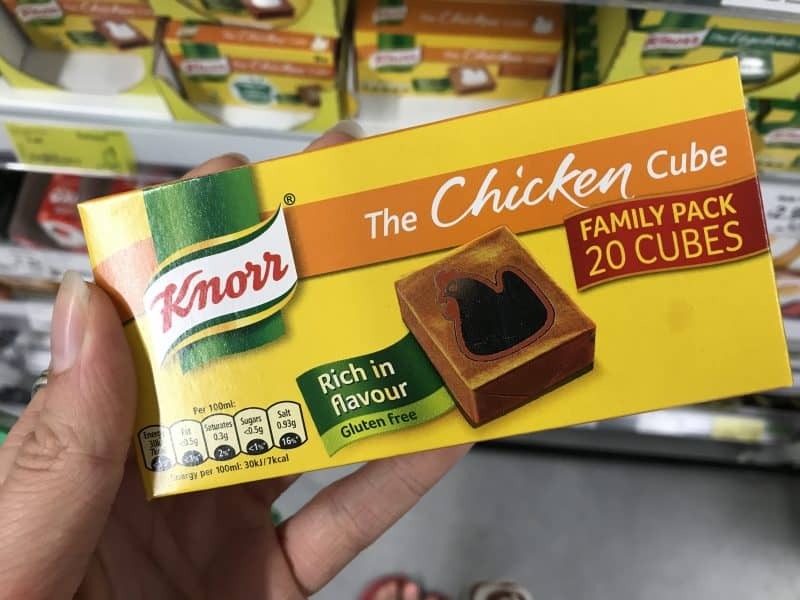 Found in the gravy aisle in all supermarkets – all flavours of Knorr stock cubes are gluten free. Found in the free from aisle in Asda. 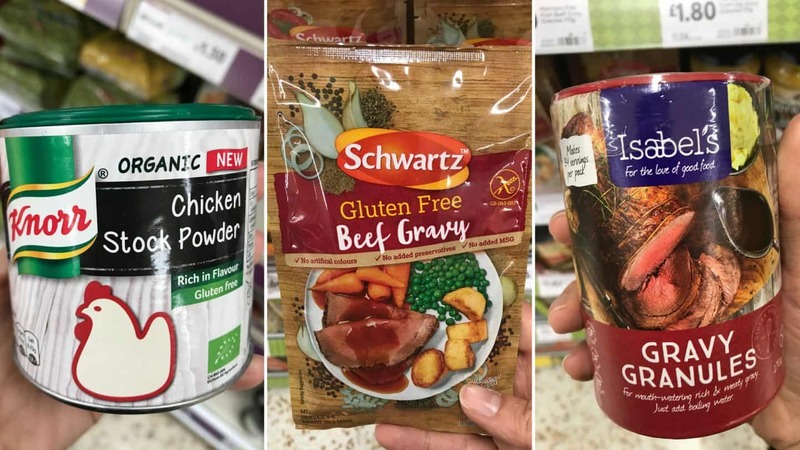 Found in the gravy aisle in all stores – all flavours of their stock pots are clearly marked gluten free. Found in the gravy aisle, these were both gluten free. 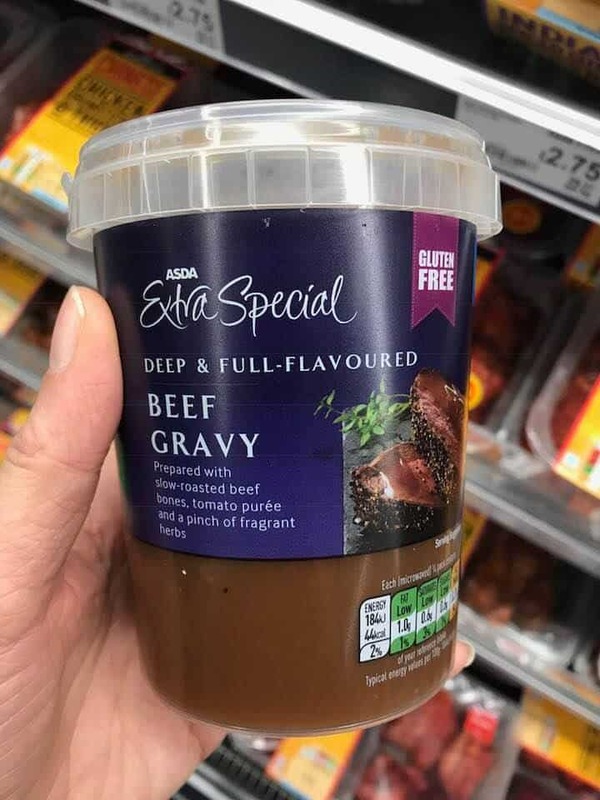 Found in the gravy aisle in Sainsbury’s. I know this list is now exclusive and there are some supermarkets I haven’t been able to visit. 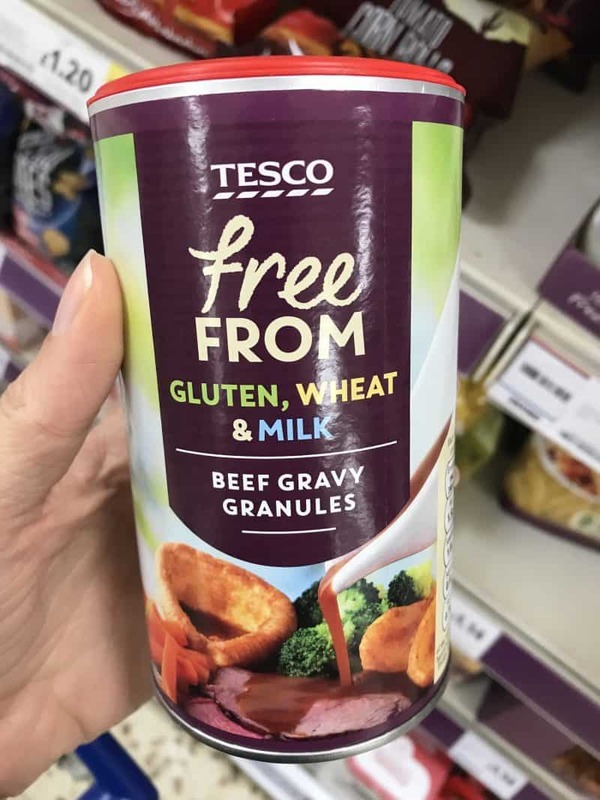 I’d love to know if there are any gluten free gravy or stock cubes that I have missed? Please comment below and let me know or tag me on my Facebook page, Instagram or Twitter. 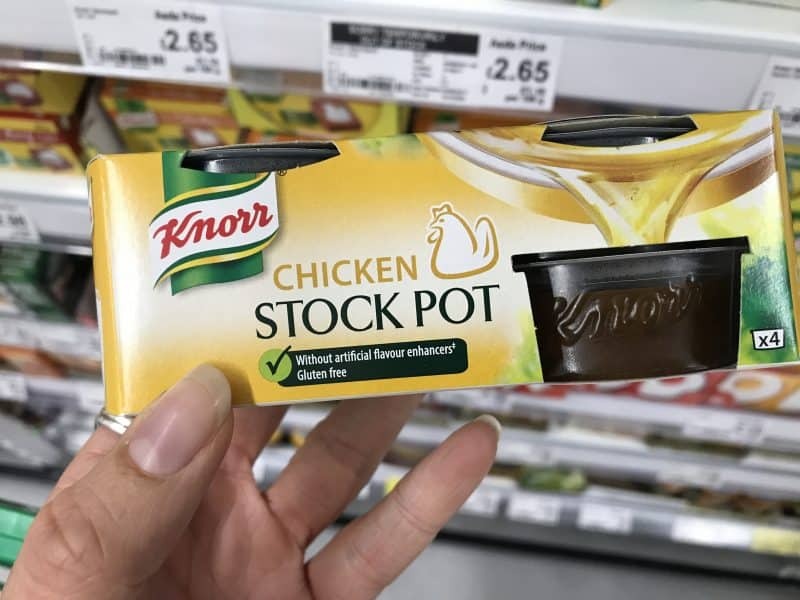 Knorr Stock Pots…. 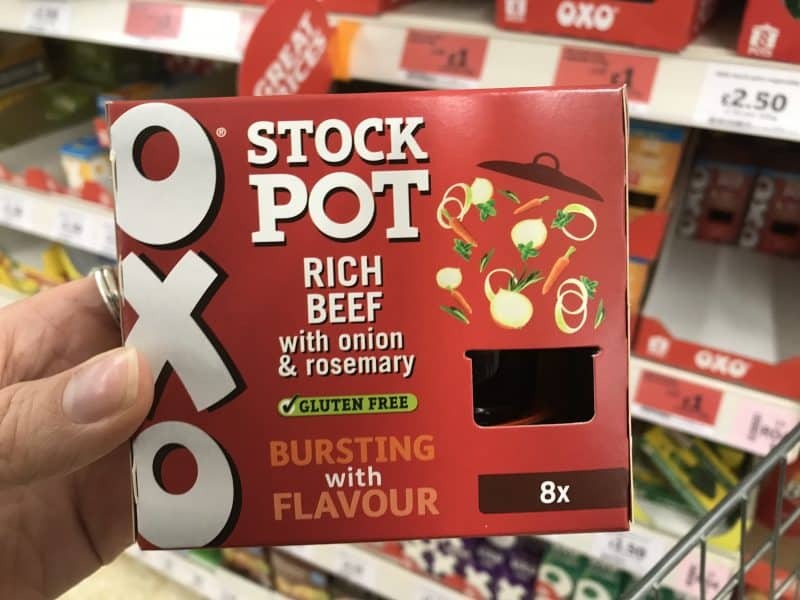 the Rich Beef stock pot, whilst gluten free, does contain Barley Malt Extract – as I found to my cost a I have a separate allergy to Barley… some people with CD may well do to avoid this particular variety if they are sensitive to barley malt extract. 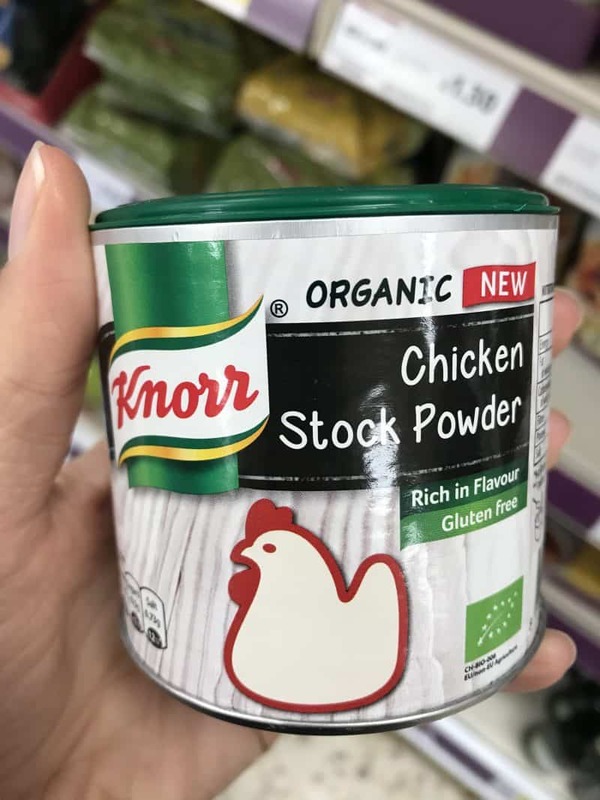 We have found the range of Knorr Stock pots the most effective- thickened if needed with a little corn flour. Thanks for the ideas and for sharing! If it contains barley surely it’s not gluten free? The barley levels are low enough to be considered gluten free (less than 20ppm). However, some people have an allergy to Barley, which is why it’s labelled as an allergen in bold. 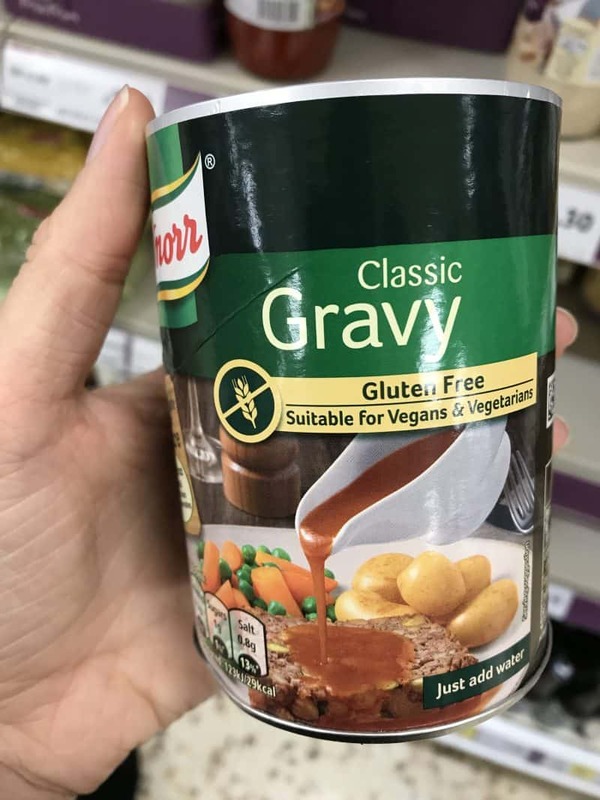 Has anyone found a gluten free alternative to Bisto Gravy POWDER (granules are no use has to be powder) it’s the one that comes in the brown card box, everywhere I’ve looked I can’t find anything. 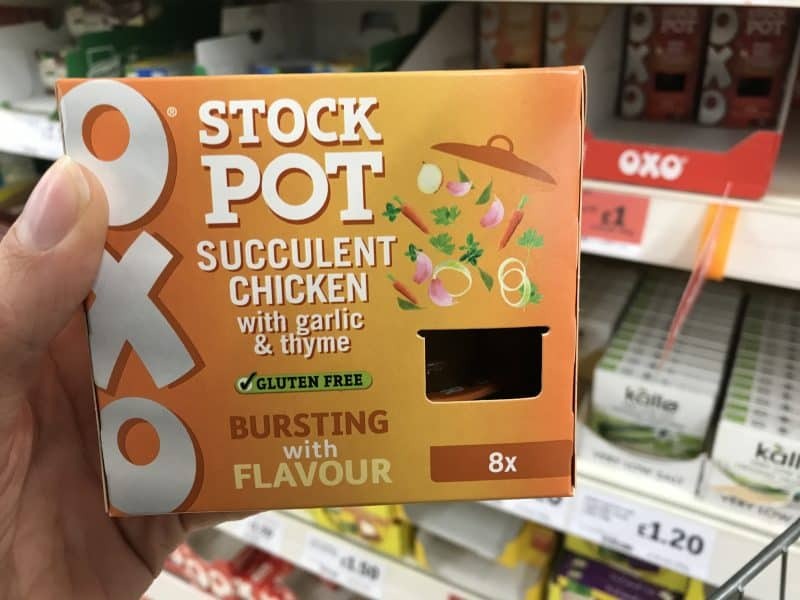 Also has anyone found a chicken or beef stock cube that can be used like oxo, crumbles to a coarse powder and mixes in cold water? I have been searching and they all say dissolve in hot water which is no good to me. 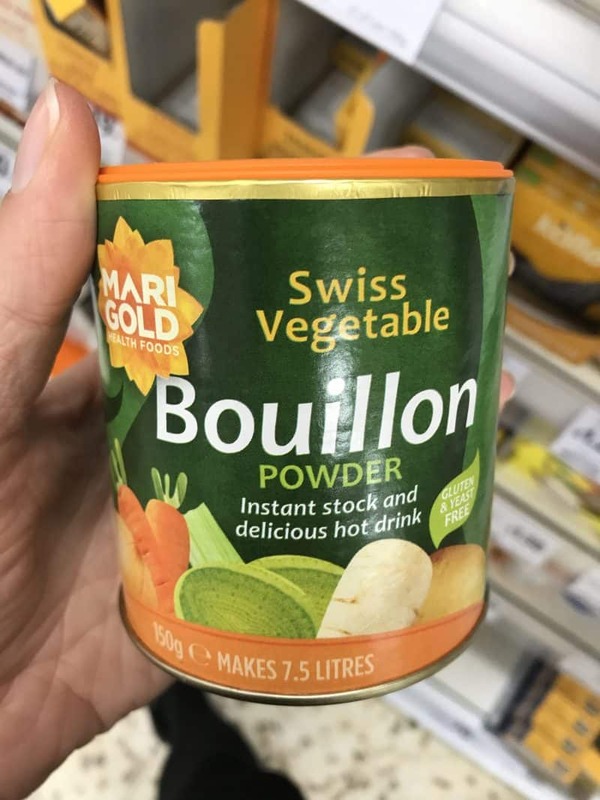 Knor do a concentrated gluten free stock in a bottle now but I’ve been told to avoid it as it’s extremely salty and doesn’t taste like chicken or beef stock, I was about to try it but 3 seperate families also shopping for gluten free each said avoid it doe to taste and extreme saltiness, am now back to square 1 again. 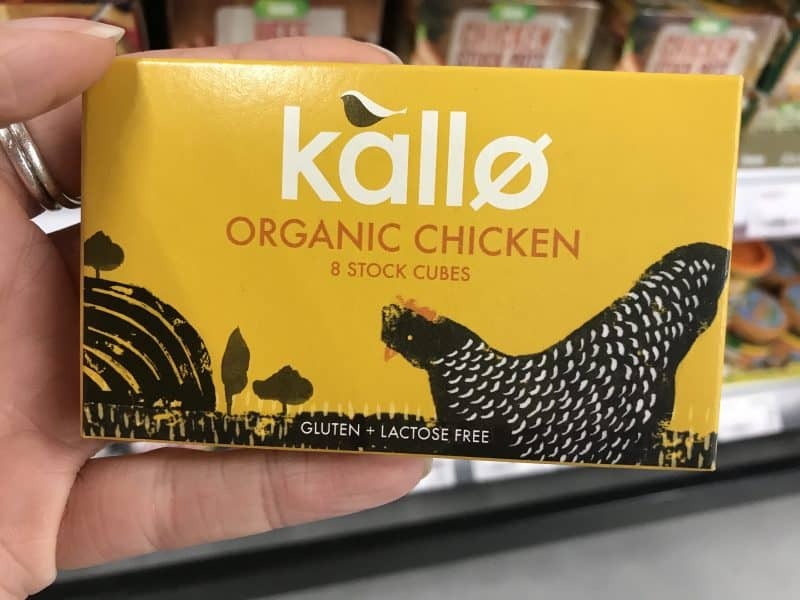 Wish Oxo could see how many love Oxo stock cubes and do a gluten free range. 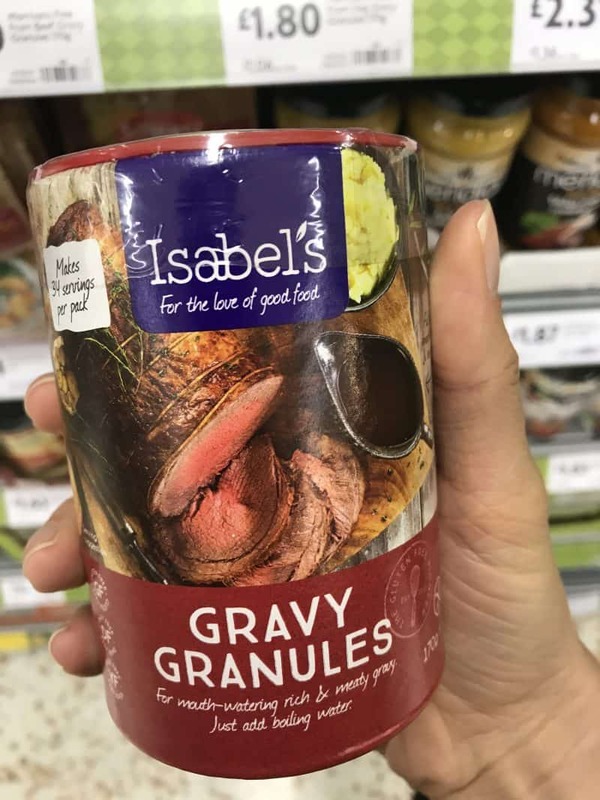 Just about to try Tesco meat gravy granules. I usually suffer after having Bisto so I’ve got all my fingers and ties crossed! !